As a local of the area and your local property specialist, I know Boston like the back of my hand. I love the tradition, the history and the heritage it holds, and of course one can’t deny the beauty of the greenery and the fantastic climate it offers. I love my neighbourhood and my community, with a sincere and deeply invested interest in my market area. That’s why you can trust me to get you the results you want, when you want them. With 13 years of conveyancing experience and 11 years of banking experience, I’ve learned a tremendous deal when it comes to customer communication and service, and maintaining sincere, solid relationships with the people I deal with. Basically, people are my passion. That’s why real estate is my passion. I’ve worked in the real estate industry for 17 years. Knowing I’ve helped people make their real estate dreams come true and helped them find the homes they’ll make their most cherished memories in is my greatest reward. 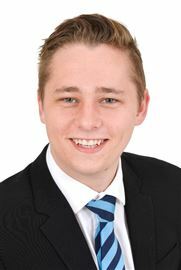 You can trust you’re in good hands when you work with me, whether you’re buying, selling, renting or letting property. 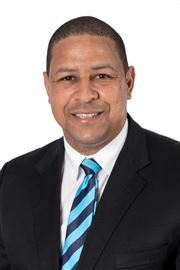 My Qualifications and Awards • FETC NQF5 (National Certificate: Real Estate) • Platinum Status Sales since 2003 • Top Franchisee 2005/2006 • National Rental Award 2007 • CRS.SA 2008 • SETA Accredited Facilitator and Assessor • Dip. 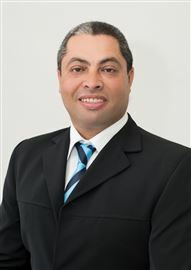 Legal Practice • I've sold properties totaling over R100 000 000.00 (One Hundred Million Rand) as at March 2009. 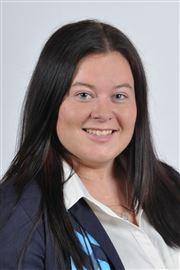 As the Sales Manager of Harcourts House of Real Estate, I have your best interests at heart at all times. I am passionate about people and property. 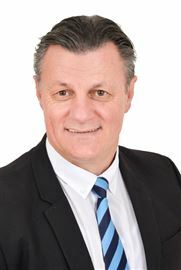 Besides managing the dynamic sales team at Harcourts House of Real Estate, I also focus on training, development, coaching, mentoring, motivating and recruiting. My career spans over three decades of training and development at several levels in sales management, project management, performance and human resource management, financial management, technical managament, and motivational speaking. I’m truly passionate about life and I have a constant desire to bring out the best in everyone. I pride myself on my upbeat mental attitude and I employ humour and a positive mental attitude in my delivery. My vast experience spanning years spent in diverse business environments enables me to portend a vast array of skills useful in any business. I’m particularly great at imparting individuals with self-leadership, self-disciplice and self-motivational skills useful in any business. The fundamental principles of corporate communications are well entrenched within me and I have a creative approach to managing effective communication for successful teams. I maintain a strong work ethic and determination to get things done and impart this on everyone I interact with. My leader ship responsibilities span regional business management, client liaison, national sales leadership, coaching and mentoring, and project management. 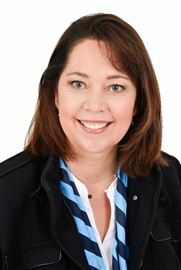 I have vast experience in real estate sales and development resulting in leadership roles as a franchise manager, franchisee and principal owner. When I’m not helping people get highly motivated or consulting individuals and businesses, you’ll often find me in the gym, on my bicycle competing in high-profile cycling tours like Pay Argus Cycle Tour (four times) and the Coronation Double Centutry (five times). I am passionate about the industry and I am dedicated to providing the best service I know how to deliver. I have developed my skills at being focused, hardworking, meeting clients needs and expectations, delivering outstanding service. I have an indepth knowledge and experience in all aspects of the Real Estate industry. You can expect professional service at all times. As a specialist in your neighbourhood, my primary focus is to fulfill the real estate needs and aspirations of all my clients. If you are looking for a unique real estate experience, then look no further. Real estate clients prefer to deal with consultants who are knowledgeable, have expertise, are honest and have integrity, and who are committed to achieving the best possible result for them With my vast experience in real estate, coupled with a constant desire to serve my clients best interests, my goal is to become your preferred real estate professional. In my dealings with both buyers and sellers across a broad spectrum I have formed lasting relationships and have structured a large client base. Maintaining that lasting relationship is essential to me. I therefore strive each day to go beyond my call of duty, focusing on making each client feeling “at home”. Whether you are buying or selling, no matter the reason, please know that I am simply a phone call away. Feel free to put me to the test, you will not be disappointed. Harcourts has been at the forefront of the real estate industry for over 125 years and it intends to continue this proud tradition, we just getting started… I look forward to meeting you soon. I matriculated from Bishops in 1992 and always had a passion for real estate, eventually joining the industry in 1999. 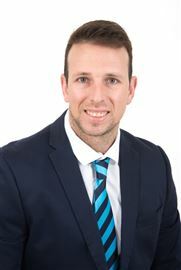 With 18 years experience in selling properties across all areas and price ranges in the Northern Suburbs, I pride myself on the knowledge and expertise I can provide my clients. I love interacting with people and have a passion for building lasting relationships through great service, hard work, expertise and the utmost best results. With more than 400 properties sold and hundreds of happy clients, you can rest assured you're in great hands when making use of my services to market your property! I know the areas I operate in like the back of my hand. 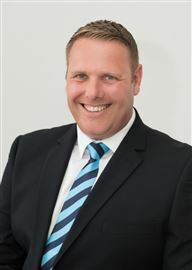 As a proud local myself, I understand the property market like no other, which is why I have a track record for selling my properties as quickly as I do. My mission is simple: to deliver exceptional, personal service and the best possible outcomes for every client I work with. I like setting and achieving exceptionally high standards, and my history of achievements is a testament to this, as is my history of satisfied past clients. My areas include Bellville; Oakdale; Upper Oakdale; Chrismar; De la Haye; Ridgeworth and Blommendal. Here are some of my proud achievements: 2009-2010 – 9th position most units sold 2012-2013 – 8th position most units sold 2016-2017 – 11th position highest commission generated 2017-2018 – 2nd position units sold and 9th position commission generated 2018 Feb – recognized as the youngest agent to reach R200 million milestone in Harcourts. Let’s have a chat if you want the exceptional results you won’t get anywhere else. Experience, accuracy, skill, energy, motivation, service, results... At Harcourts we believe that the agent chosen for the marketing of your property possess all of these attributes. Why choose me as your agent? Well, after celebrating my career of 21 years in real estate, I believe I've gained an extensive knowledge of the real estate industry which allows me to achieve optimal prices and fast, reliable sales of my mandates. Our company’s high standard of service and ethics, together with my personal experience in formulating a winning plan to help my clients achieve their goals is the difference between myself and any other agent in your area! 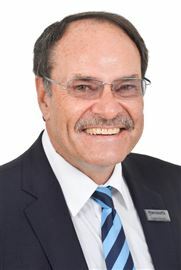 Qualifications • Residential Sales Specialist for DURBANVILLE. • Passed Estate Agency Exam in 1989 • Achieved RPL NQF5 • Excess of R100 million career sales • 2010 – Most units sold in office • PLATINUM Sales awards for 2010 Sales Achievements • 99% of listings are Exclusive Listings • 90% of exclusive listings are sold in initial marketing period • 2010 - Platinum Sales Status throughout the year • 2011 – Achieving 8th position in National Sales Awards out of 124 offices • Holds record for most exclusive listings (mandates) Wherever you are on your property journey, I have the experience, the knowledge and the passion to get you the results you want when you want them! I’m proud to be your local property specialist. I specialise in sales in the Northern Suburbs. 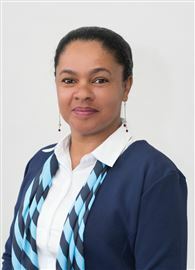 I’ve had the privilege of forming trusted relationships with many of my neighbours and others in my local community, because I believe in engaging with each and every person I deal with on a personal level, forging a strong level of trust and ensuring lasting, fruitful relationships on a personal and professional level. With a global team behind me and access to some of the leading training, tools and technology when it comes to my industry, I can proudly say that I can provide a level of service like no other, whether you’re buying or selling property. So if you want to deal with someone who not only has the exceptional resources to bring the best results, but also the passion and that personal touch to make your experience a smooth and satisfying one, why not give me a shout and let’s chat over a cup of coffee! I gained a wealth of business and customer service knowledge during my years studying business, having been involved in various service-related industries. It’s this proud knowledge I apply to my property transactions and the relationships I establish with my clients. It’s to this I attribute my numerous real estate awards. 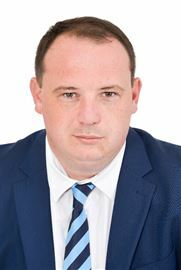 I believe in providing an excellent service by means of providing my clients with the most leading-edge marketing solutions for their property, world-class real estate knowledge, and a personal, friendly service that goes far beyond merely erecting a sold board on the front lawn of their property. I believe in making clients for life – happy clients. And if you work with me, I’ll show you why Harcourts is one of the fastest-growing real estate groups in the country, and one of the leading globally in terms of our training, our technology and our knowledge. I believe in transparency, loyalty, and teamwork to achieve my goals. And being backed by an international team, I’m proud to be able to provide my clients with all the tools to get the ultimate results! 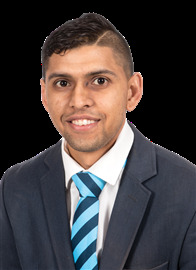 I started out in property at the age of 22 where I was fortunate enough to secure an investment to buy my first property on auction. With the help of my late father Wikus Muller who was an estate agent and property investor for over 35 years I started investing in run down properties which I mostly bought on auction, renovated it and flipped it again. I was fortunate enough to have been able to buy and sell about 40 properties from the age of 22 till now, 10 years later. 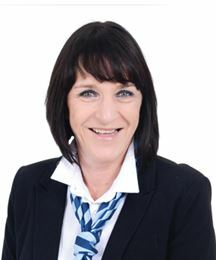 I quickly realized that I have a great skill and understanding for the property market and I was able to sell my properties very quickly. I then ventured into slowly selling properties with my dad, mostly new residential developments etc. From there I wanted to get more involved and I have started sourcing properties and securing my own mandates. I always had a big passion for commercial properties and development opportunities and again with the help of my father started venturing into these areas with massive success. 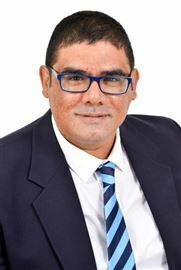 I have packaged and sold development opportunities to various developers, I’ve been involved in the sale of shopping centres, industrial parks and other commercial properties. 10 years later and I’m still loving it, I love people and I’m passionate about real estate! To me, there is no better “kick” than selling a property, be it commercial industrial or residential. My knowledge of the Cape Town property market is outstanding if I can say so myself. I am able to sell various types of properties without losing focus. I believe that the fact I was mentored by my late father who sold properties in SA amounting to values in the billions of Rands plus has paved my way for success. I was thrown into deep waters and have survived selling properties in the good and bad times. My mission is to build long term relationships with buyers and sellers which will naturally send referrals and returning business my way in future. I always focus on both the buyer and the seller’s needs and wants and try to conclude a deal on a win win basis keeping all parties happy. I aim to please! As a rental specialist for Harcouts House of Real Estate, I truly enjoy working with people and giving them a chance to find the perfect home or the perfect tenant. People are my passion. That’s why I strive over and above the call of duty to provide each and every one of my clients with an exceptional client experience every single time. Customer service is of paramount importance to me! I aim to see a satisfied smile on each of my clients’ faces throughout the rental process, which I understand can otherwise be a stressful experience. I’m proud to be your local rental specialist. I know the local area intimately – the facts, the figures and the trends. So whether you’re looking to let or rent property, you can trust in me to get you the results you want, when you want them. 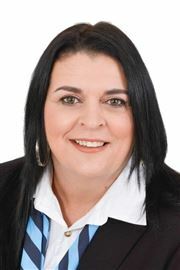 I’m also proud to have won National Agent and Western Cape Rental Agent in 2007. I specialise in Bellville, Oakdale, Boston, Durbanville, Blomtuin, Oakglen, Parow and surrounding areas. I have worked in the Human Resource and Payroll environment for more than 10 years before I decided to take on a new challenge and move to Real Estate. The change in career enabled me to combine my two passions which are working with people and property. The combination of these two passions makes me your agent of choice as I embrace the technology and benefits that the Harcourts Group has to offer in order for you to have a gratifying and memorable experience whether you are selling or buying. 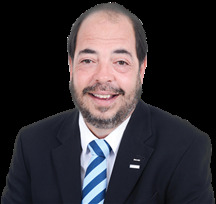 On signing with me you can be assured of professional service, regular feedback and my commitment to promote your property so that it attracts as many qualified buyers as possible to achieve a favorable result. I am with you every step of the way! I am extremley proud of being Tony Smit's personal Assistant. I work directly with our clients and guarantee their experience with our team is efficient, friendly and professional. I look after all the administrative duties striving to ensure our service is world class. We don't build business relationships, we build long term friendships that leave our clients feeling better for their experience with us. I grew up in a real estate environment and entered the industry at age 19. After 12 years and great success I got an opportunity to broaden my horizons. 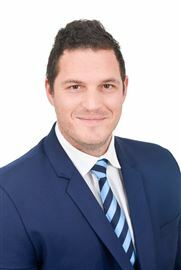 I pursued new avenues as Corporate Sales and Marketing Manager at one of SA’s leading Removal companies. My duties included Corporate Sales, Marketing, New Business Development, CSI Facilitation, Executive Reporting to name but a few… Whilst the Removal Business is more so about furniture and household goods and the people they belong to it also involves the homes they’re in. I subsequently did countless home visits as part of my Client Appreciation Program. When visiting these homes I would always be drawn to Property Sales. This is in my blood and my love for it never faded. After 10 years in the Removal Industry I am back in Real Estate. I have the ability to connect with any person on any level. Through an honest and open approach toward business I manage to gain the trust of my clients. I am able to break new ground and no challenge is to great. I have completed the Comrades Marathon twice. I believe that the same kind of endurance and determination needed to achieve this is the very same attitude needed to be successful in business. Energy, Passion and Endurance is key. I love people – I love property – I love serving! I am an independent target driven individual with the drive and ambition to excel in any given environment. I love working with people an adding value to the needs of all my clients. My mission is to make sure all clients are serviced to the best of my ability and to build long term relationships going forward.. I believe that real estate is about building relationships and I am highly passionate about working with people and making the dreams of families come true. 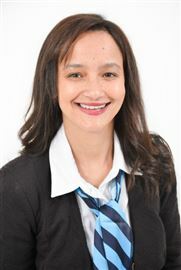 I believe that building families through real estate has made me a proud South African and has motivated me to bring change in the environment I am currently servicing. I believe with Harcourts International behind me all is possible, let me help you move forward. Never To Be Repeated Again! Family home. Ready to move in! In the heart of Bonnie brae!